If you enjoy geometrical patterns or colouring or even if you are contructing a tiling system for your kitchen or bathroom, you might want to look at this site from Altair Design. Teachers and parents might like to look too, to see some activities to get kids painlessly interested in geometry. Explore the site - it has a huge variety of patterns that you can colour online, a competition you can enter, and a gallery of the best examples done by other people. The middle button at the top gives you some history and context for the site. I also recently stumbled on some nice tiling patterns based on Escher's drawings in the Alhambra (one of which is shown in the picture). If you go to the page via the link, click on the individual patterns and you'll open up some spectacular PDFs. Symmetry is one element of beauty, and in the book I describe how a physicist attempted to locate all particles on a grid consisting of the most symmetrical object conceivable – and failed. Does this failure disprove the coinherence of beauty and truth? Hardly. For in fact a slight departure from symmetry can be even more beautiful. This is true at many levels. In the early moments of the big bang, if matter and antimatter had been exactly balanced the universe would have destroyed itself. I recently read of some research into the shape of the neutron, which at present appears perfectly symmetrical, having an electric charge (or more precisely “electric dipole moment”) of zero. Researchers hope to find some slight asymmetry in order to explain the excess of matter over antimatter which enables us to exist. Zero is the most symmetrical of numbers but not the most beautiful, and existence is always a departure from it. The pattern of human love has been described by Angelo Scola in terms of “asymmetrical reciprocity”. Thus a theologian might say that the tension of asymmetry runs right the way through creation, from top to bottom, as the mark of the Creator, and is only resolved by the Trinity in a way that eternally preserves difference within unity. The phrase was made famous by C.P. Snow’s Rede Lecture of 1959, in Cambridge, England, which was viciously attacked by the critic F.R. Leavis in 1962 and later, more moderately, by Lionel Trilling in America, generating a major controversy in academic circles concerning the relationship of arts and sciences. (See C.P. Snow, The Two Cultures, with an Introduction by Stefan Collini, Cambridge University Press, 1998.) The controversy recalled a famous exchange in the 1880s between T.H. Huxley and Matthew Arnold. Snow, like Huxley before him, took the side of the scientists against the men of letters. Not being able to describe the Second Law of Thermodynamics, he thought, was equivalent to confessing that one had not read a work by Shakespeare. His critics argued that the contrast drawn between the two cultures was crude and misleading, that his celebration of consumerism and the industrial revolution showed him to be a rabid philistine, and so forth. In their early period of rapid expansion the Arabs took over the Middle East, acquiring and preserving much of the ancient learning. They also developed it, picking up in many ways the intellectual torch of the Greeks. 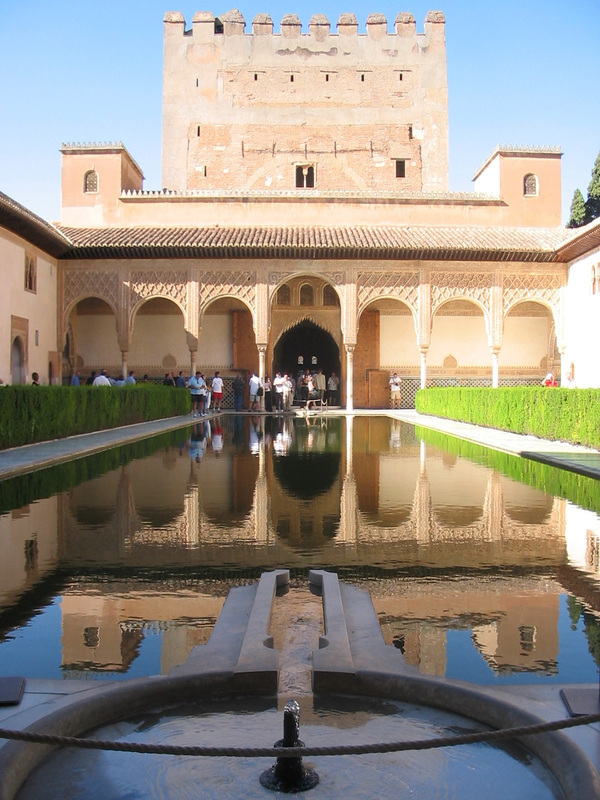 There was a brief shining moment some centuries later when Europe was able peacefully to absorb the knowledge of the then vastly superior Islamic civilization, through translations made in Toledo and the efforts of adventurers like Adelard of Bath. This transmission, as much or more than the redicovery of ancient learning in Italy, lay the foundations of the Renaissance and the rise of modern science. The story is told by historian Bettany Hughes in her accessible TV history documentary about the Moors in Spain - part of a larger series of excellent history programmes. 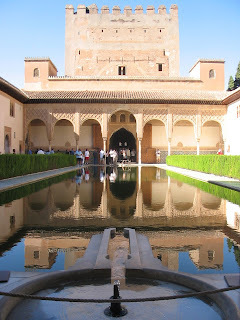 Readers may like to see this clip about the Alhambra Palace in Granada, one of the wonders of the world, in the second half of which she talks about the legacy of Pythagoras and the geometrical principles that made possible this stunning architectural achievement. Traditionally, truth, goodness and beauty are properties of all being, of everything that exists, in one degree or another. Truth is being as known - the correspondence and coherence of the idea and the reality. Goodness is being as willed - acting in accordance with the fullness of that which is. What, then, is beauty? Beauty is being as enjoyed, as rejoiced in – that which, when seen, pleases. This is why Etienne Gilson can say that man is a creature “who knows other beings as true, who loves them as good, and who enjoys them as beautiful” (The Unity of Philosophical Experience, p. 255). The association of beauty with joy is important to reflect upon. What is this joy that beauty gives? It is surely the feeling we get of liberation. “For the experiences which should be produced by that which is really beautiful are wonder, and sweet amazement, and desire, and a pleasant fluttering of the wings of the soul” (Plotinus, Ennead 1:6). Beauty liberates or expands us beyond the boundaries of the self. At the level of eros, we recognize that there are two main ways to expand the self by uniting it with a desired beauty. The feminine way is to receive the beautiful into ourselves. The masculine way is to project or inject the self into the beautiful. At the spiritual level we do both, and both ways are rooted in God, who both receives himself and gives himself in the three Persons. In order to recognize something as beautiful, there has already to be some connection with it, some element of recognition, as well as an inclination to affirm if not unite ourselves with it. In that sense, beauty cannot be separated from truth and goodness, and from the faculties of knowledge and will. There is something in us by which we judge the beautiful to be such, and this means that we have the essence of beauty already within ourselves, even though it is also beyond us. May is such a lovely month in Oxford, with the blossom coming out everywhere. But many people remain convinced that it is purely subjective - that "beauty is in the eye of the beholder". The architect Christopher Alexander developed an empirical test that points in another direction. He calls it the "Mirror of the Self". Subjects who disagree when asked which of two objects are most “beautiful” will suddenly show a remarkable degree of agreement when asked instead, “Which of these two objects would you prefer to spend eternity with?” or “Which would you prefer to offer to God?” or "Which is the best picture of your whole self?" The reason is, surely, that the question causes us to give the object our full attention, so that we start to respond to it as a whole and with our entire selves. When forced to focus in this way, observers quickly come to agree on which object they prefer, on which is the more wholesome and nourishing to their humanity. What Alexander has proposed is nothing less than an extension of scientific method in which the self is used as a measuring instrument. This escapes the Cartesian paradigm based on the elimination of the self of the observer. What it points towards is that “science of qualities” prophesied by Goethe, based on the accurate observation of inner feeling in relation to the parts of the world. It is complicated by the fact that in order to judge the objective value in things we have at the same time to refine (that is, educate) the instrument with which we measure, the faculty of discernment itself. His test is also a method by which to teach people to discriminate between what they have been taught (by fashion or ideology or habit) to like, and what truly moves, attracts, and inspires them at a deeper level. These are not always, or even usually, the same thing. "Our apparent liking for fashions, post-modern images, and modernist shapes and fantasies is an aberration, a whimsical and temporary liking at best, which has no permanence and no lasting value. It is wholeness in the structure that we really like in the long run, and that establishes in us a deep sense of calmness and permanent connection." Christopher Alexander’s most influential book was A Pattern Language (1977), but the Mirror of the Self test can be found in The Phenomenon of Life, the first of a four-book series called The Nature of Order.